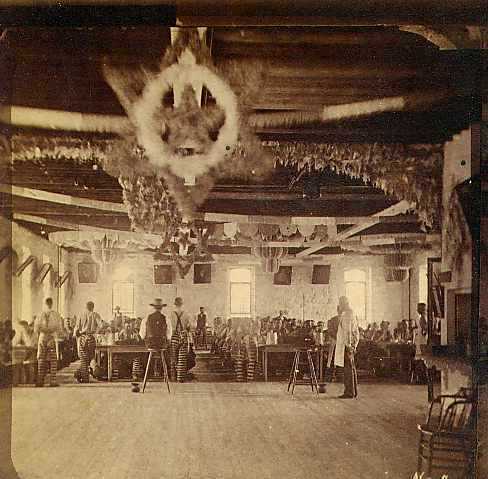 Original dining hall, decorated for Christmas. Note seated guards, spittoons at the ready! 1880's.